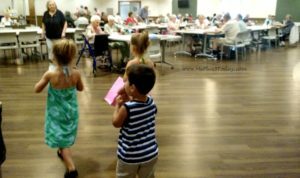 As I work with my kids to teach them about kindness and helping others, one of our favorite activities has become delivering cards to seniors and the elderly. 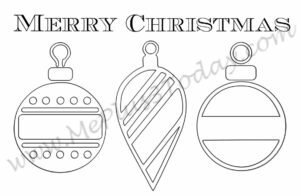 Since the holiday season is quickly approaching, I have created some simple Christmas coloring pages of printable greeting cards so we can give out Christmas cards during our next visit. And I’ve made these available for free download at the end of this post! 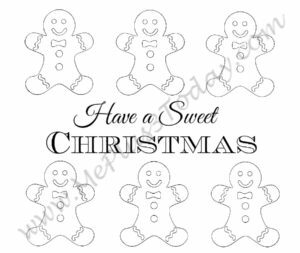 With the Christmas coloring pages, the kids are able to put their own personal touch into each card while also giving the printable greeting cards a more handmade appeal. In the past, we have also delivered handmade Valentine cards to a nearby assisted living community for seniors. 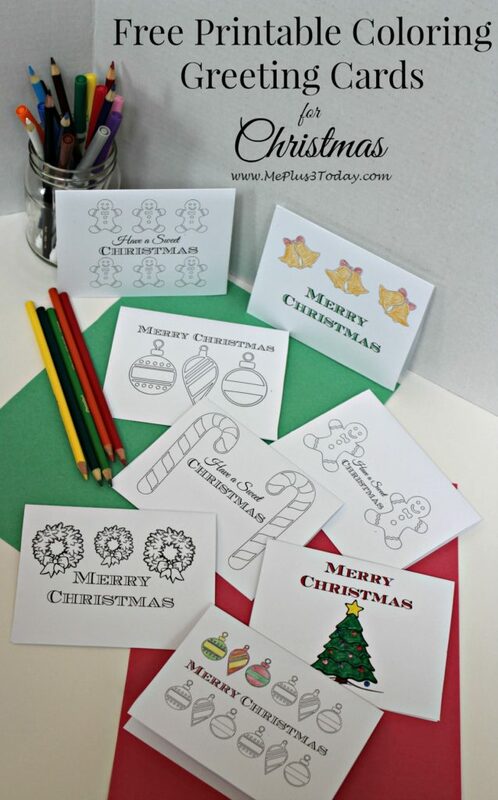 We have also used printable greeting cards similar to the Christmas coloring pages to create “Happy Summer” cards which we passed out at a senior dining center through our local Meals on Wheels program. These visits have been some of the best experiences the kids and I have had while performing acts of kindness. 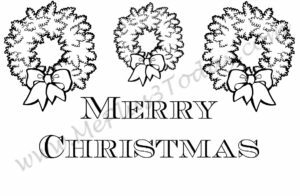 I highly encourage you to take your children to deliver cards to the seniors and elderly in your area. Trust me, you won’t regret it! If you plan to deliver cards during the holidays using these Christmas coloring pages (or any other time for that matter), here are a few things I have learned so far. I’m hoping you find them helpful in making your experience as good as ours! Disclosure: For your convenience, this post may contain affiliate links from why I make a small commission at no additional cost to you. Thanks! 1. Contact your local senior living center or Meals on Wheels program at least a week in advance. I simply sent an email stating that I was looking to do a service project with my children, and we’d like to hand-deliver cards to the residents. I highly recommend contacting them with this type of specific plan so they know exactly what to expect. Thankfully, the organizations were thrilled to have us. Contacting the center prior to our visit also allowed me to gain valuable information, like the best time to reach the most people and the number of cards we needed to prepare. 2. Explain to your kids what you are doing and why. It is my hope that by performing acts of kindness and service projects with my kids, I will instill values like compassion, kindness, and empathy in them. So I make sure to explain, in an age-appropriate manner, what we are doing and why. For example, we started our senior visits when my kids were 3-years-old and 2-years-old. So I explained that sometimes older people don’t get to see a lot of kids or get many visitors because their families might live to far away. Our goal by making and delivering cards is to make these people happy. I’m not exactly sure if this is the right way to teach kindness, compassion, and empathy, but it’s how I attempt to do it, and so far, it seems to work for us. Obviously, you might try a difference explanation with your kids, but this is just how I approach it with my preschoolers! Note: We’ve gone over feelings and actions a lot while we read different books (like those on this list of books about Acts of Kindness), so this has helped to further their understanding of what we are doing. Kindness, compassion, and empathy can’t just be a one-time learning activity. Teaching it to our kids is an on-going process! Don’t fret if they don’t understand right away. 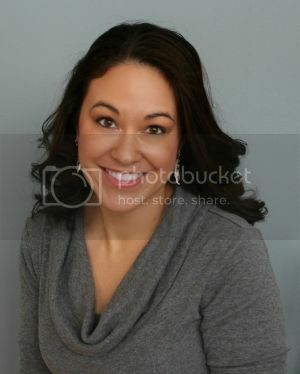 Keep plugging away at it, and soon the concepts will stick! 3. Have an informal “script” prepared. I admit, our first time delivering Valentine cards, the kids were so excited that they were just shoving cards at people and then moving on to the next room. My explanations to the seniors were always an afterthought as I was trying to keep up with the kids. It was a little bit of a mess! So do your best to take it slow and make each visit count. At least with a short introduction, the kids won’t overwhelm the seniors right away. 4. Let the seniors show their love for kids! My kids are very social, which is one of the reasons this type of act of kindness and service project works so well for us. They got a lot of hugs and kisses and they were happy to give them back! Many of the seniors offered to give the kids candy as well. At first I refused, but then I realized how happy it made the seniors to give the kids these treats. So, I allowed them to give them a piece and I made sure to hold on to them until we got home. Making the seniors happy was the main reason of our visit, and I could definitely see that the kids energy and laughter really brightened their moods! 5. Just roll with it! Things might go according to plan, and they might not. Acts of kindness and service projects don’t always go off perfectly, especially when doing them with kids! During one of our visits, I had to carry my 4-year-old the entire time because she was feeling very shy. It wasn’t ideal for me, but most of the seniors were still very appreciative of our cards and the effort we were putting in. Please don’t let a bad experience discourage you from trying this type of activity again. I truly hope you decide to deliver cards to the seniors and elderly in your area. 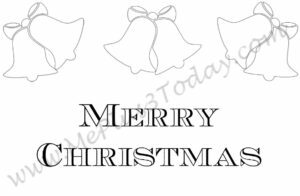 To help you out, I’ve made the Christmas coloring pages of printable greeting cards available to you for free download below. 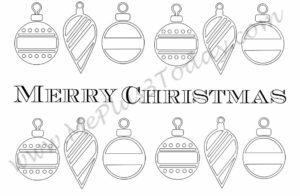 Simply click each of the images below to download and print the Christmas coloring pages to make your own greeting cards at home! 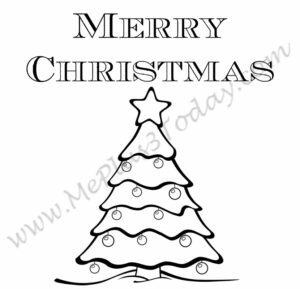 Each Christmas coloring page contains 2 cards. 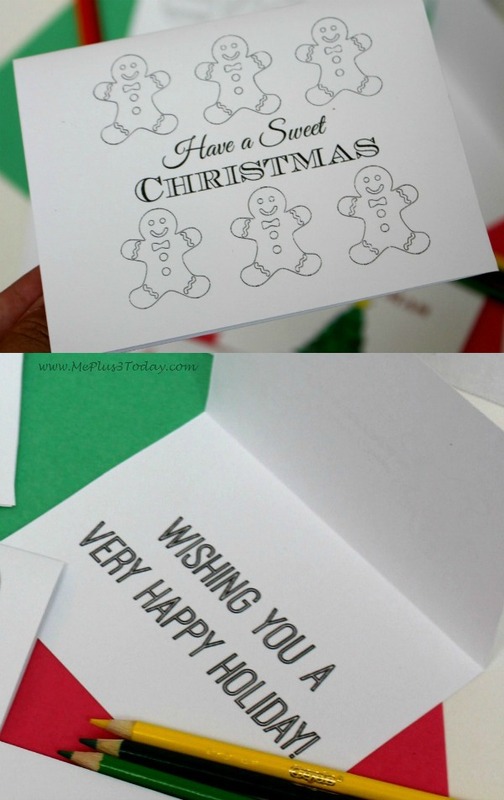 By printing double-sided, the inside of each card says “Wishing you a very happy holiday!” Enjoy! Don’t worry, the website overlay will NOT be on the printable as shown below! 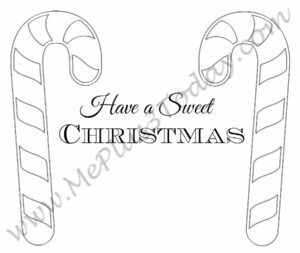 Tagged Acts of Kindness, Christmas, Gift Ideas, Halloween, Holidays, Preschoolers, Printables, Service Project. Bookmark the permalink.